Figure 1. Black pepper seeds. Visiting a restaurant in the Western world or even a home often means finding salt and black pepper as common condiments on the table used to give taste to our dishes. 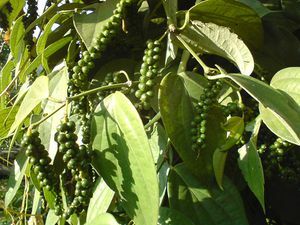 Salt has been native to many regions and is commonly found; however, black pepper was a far more limited plant (Piper nigrum) that natively grew in South and Southeast Asia. The spread of this pepper is intertwined with ancient trade expansion that once connected the length of the Old World. In more recent times, this pepper became a fixed a daily condiment. Archaeologically, we know that black pepper (Figure 1) was used at least by the 4th-3rd millennium BCE in India, although it likely goes even earlier. In fact, although pepper can be found in southeast Asia, it was probably India, and specifically in the province of Kerala, that black pepper was most utilized or native to. For centuries, it most likely was not traded very far from its places of origin, remaining in India and influencing Indian cuisine to this day. Eventually, however, we begin to get archaeological data that suggest pepper made it to Egypt sometime around the 3-2nd millennium BCE. Traces of black pepper have even been found on Ramses II, specifically in his nose, suggesting it was used in the mummification process. It was likely also used in other parts of the Near East by the 3rd millennium BCE; however, plant remains of pepper are difficult to detect so this can only be a conjecture. In fact, trade and migration of Indo-Aryans in the 3rd and 2nd millennium BCE likely began to expand black pepper outside of its traditional confines in India. Indo-Aryans began to migrate across the Near East and into Europe, likely bringing their foods and tastes with them. However, archaeologically and historically, remains of pepper are very limited. This likely suggests it was either not very popular or too expensive for common consumption. Pepper can be preserved through drying easily enough, suggesting it was not preservation that would have been a major hurdle for its spread. However, it's relatively limited range where it can grow did likely make it more difficult to export to some markets. Trade in black pepper seems to have expanded by the 4th century BCE, reaching the Aegean and Europe more frequently. Black pepper was used as a spice for food, in particular meat. Dried foods such as meat often lacked taste; pepper was seen as a way to make stored foods that were dried or salted more flavorful. This period represented some of the early developments of what would become the Silk Road, suggesting some of the trade in spices such as pepper and black pepper specifically would have come via this route. With the conquests of Alexander, Greek colonist were now reaching India and contacts became more common. The major turning point, however, was the knowledge of the monsoonal and climate patterns that affected the trade winds along the Indian Ocean by the end of the 1st century BCE. This open up new opportunities for direct sea voyaging between Europe and China via Egypt and the Red Sea, through land and sea routes, although an early version of the Suez Canal had also been developed by the Achaemenid period in the 5th century BCE. 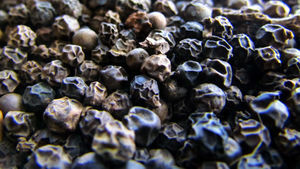 The connection via the seas also enabled China to now incorporate black pepper in its culinary diet, at least by the 2nd century BCE. The knowledge of important trade winds, development of major empires stretching across Europe to China (there were only 4 major states between Britain and China in the 1st century CE), and increased contacts and movement of people in general now made pepper become commonly imported into Roman Europe. The Roman increasingly made pepper part of their diets, while its popularity also spread in the Near East and China. Traders in Arabia and Middle East probably played important roles as middlemen in the trade network. This not only made them wealthy but they likely continued to have a hold of this connection even after the fall of Rome. Both the Silk Road and connections via the Indian Ocean were now vital to this trade. Figure 2. Painting from 1572 showing the harbor at Calicut in Malabar, a key export city in the spice trade since late Antiquity. The role of Arabian and Middle Eastern traders continued through the early Medieval period. After the disruptions of the fall of Rome, pepper only began to make a comeback in Europe by the later parts of the Medieval period. King Ethelred exacted pepper as a tax to allow European traders in Anglo-Saxon London. Arab traders controlled shipping in the Indian Ocean and trade across the Middle East, giving them a lot of power in trade activities in the Silk Road. By the late Medieval Period, Italian traders from Genoa and Venice increasingly controlled much of the trade in pepper in Europe, where the price of black pepper in Europe remained very high. This likely meant that it was not as commonly consumed as it may have been even in the Roman period. Despite the high price for black pepper, it was still one of the most important products in the Silk Road. In fact, it became the chief spice trade in the Silk Road. To keep prices artificially high, traders even made stories such as black pepper being guarded by poisonous serpents, indicating that it was difficult to get. The black color was suggested to be a result from the fires that traders had to make to scare the serpents away. To a great extent, it was the rise of prices of pepper and other products that put greater impetus to find new routes to India. Slightly before this time, Portugal was a rising power and had aspired to control the trade routes to India, with black pepper being one of their main interests. The trip around Africa, although yielding many new discoveries, was difficult and long. Nearly 30% of the cargo brought back from India was lost. European powers wanted to avoid having to have their trade to the east controlled by middlemen and, so long as prices were very high, then the consumer market would be limited. This prompted the eventual discovery of the New World, which was initially thought by Christopher Columbus to be a new route to India, including its spice trade, rather than a new continent all together. The Dutch were able to gain control of the pepper trade by the 17th century, creating strong links to India, Ceylon, Java, and other areas in southeast Asia (Figure 2). The rising power of the British East India Company in the 18th and 19th centuries, when the British Empire's fortunes increased, allowed them to eventually takeover the trade of black pepper. During this time, spices and pepper, in particular, increasingly began to be under a near monopoly of control by British traders. During the time of the Dutch and British control of the spice and pepper trade, black pepper had increasingly become common that led to its price depreciating considerably. By this time, middle class consumers were able to reasonably afford it and it was during the 17 and 18th centuries that black pepper began to emerge as a daily type of spice used to season meat and other foods. In the 20th century, with decolonization and the demise of major holding companies such as the British East India Company, the trade of black pepper was once again in the hands of the countries that grew it, mainly being India and southeast Asia. Today, Vietnam is the leading exporter of black pepper, accounting for about 34-35% of the total in trade of black pepper. Because of its wide spread use that goes back to the Classical Period, when regions from Japan to Britain had developed tastes for black pepper, it has become the most common spice today. The history and spread of black pepper has been based on the history of trade and access to south Asia, from ancient to Medieval and more modern periods. Europe and China both had developed a taste for black pepper by the late 1st millennium BCE. It became a spice that became common to many cuisines in the Old World. In the Roman period, black pepper was a much sought after product by the Romans from India. The taste for pepper remained in Europe after the Roman period, but for much of the Medieval period, the control of trade routes by various middlemen restricted its consumption by only elite or upper classes. The Dutch and later British East Indian Company began to have more direct control in India, leading to a substantial increase in trade of black pepper that also lowered prices and made it a common condiment or spice. Today, the trade in black pepper is once again controlled regions that produce it rather than foreign states. ↑ For more on the ancient use of black pepper, see: Ravindran, P. N., ed. 2000. Black Pepper: Piper Nigrum. Medicinal and Aromatic Plants--Industrial Profiles, v. 13. Australia: Harwood Academic, pg. 5. ↑ For more on migration and the movement of black pepper, see: Sidebotham, Steven E. 2011. Berenike and the Ancient Maritime Spice Route. The California World History Library 18. Berkeley: University of California Press. ↑ For more on the spread of black pepper and the Silk Road and Indian Ocean trade, see: McLaughlin, Raoul. 2014. The Roman Empire and the Indian Ocean: The Ancient World Economy and the Kingdoms of Africa, Arabia and India. Barnsley, South Yorkshire: Pen & Sword Military. ↑ For more on the role of middlemen in the Silk Road and the Indian Ocean trade, see: Elisseeff, Vadime, ed. 2000. The Silk Roads: Highways of Culture and Commerce. New York : Paris: Berghahn Books ; UNESCO Pub. ↑ For more on Medieval traders in spices and black pepper, see: Woolgar, C. M, T Waldron, and D Serjeantson. 2009. Food in Medieval England: Diet and Nutrition. Oxford: Oxford University Press, pg. 16. 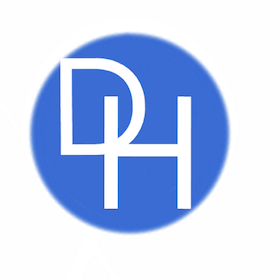 ↑ For more on the role of trade and the discovery of the New World, see: Hunter, Doug. 2012. The Race to the New World: Christopher Columbus, John Cabot, and a Lost History of Discovery. 1st Palgrave Macmillan pbk. ed. New York: Palgrave Macmillan. ↑ For more on the Dutch and their control of trade to India and southeast Asia, see: Jacobs, E. M. 2006. Merchant in Asia: The Trade of the Dutch East India Company during the Eighteenth Century. CNWS Publications 146. Leiden: CNWS Publications. ↑ For more on the recent trade of black pepper, see: Prabhakaran Nair, K. P. 2011. Agronomy and Economy of Black Pepper and Cardamom: The “king” and “queen” of Spices. 1st ed. Elsevier Insights. Amsterdam ; Boston: Elsevier.